This is a design for toys rent blog. The owner asked me to design something related to its business. 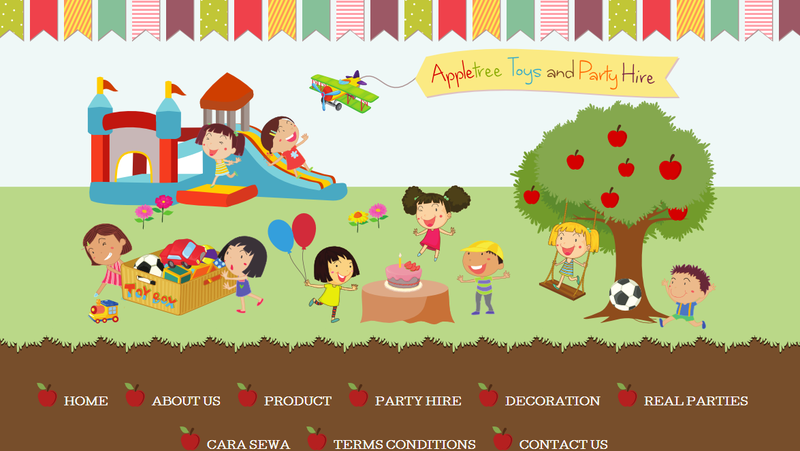 The header image represents a joyful children playing and partying on apple tree garden. I use a strong and various colors on this design. You can visit the blog here, and this is a preview.